I Chose The Body Scrub I Liked, Have you? Make Your Choice at Mikios Natural Body Scrub Today. Go to http://www.nationalpitbullawarenessday.org/NPBAD-Campaign.html for information about National Pitbull Awareness. 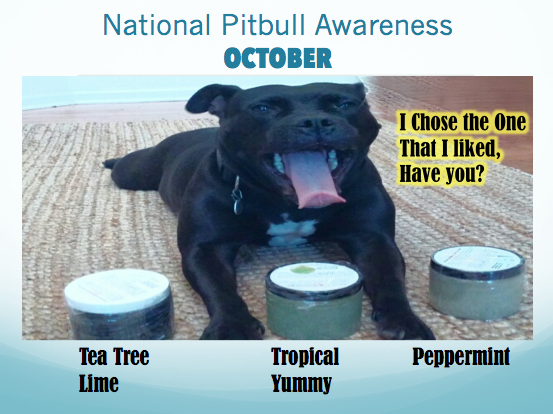 This entry was posted in advertisement by pitbulls, body scrub, Mikios natural body scrub, pitbull awareness and tagged Body Scrub, peppermint body scrub, Pitbull awareness month, tea tree body scrub, tropical yummy body scrub.